Everything you need to maintain your Aprilaire model 600 series humidifier! 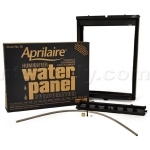 Tune Up Kit For Aprilaire Model 600 Series Humidifiers (Part # 4839). This Tune-Up Kit works for whole house large bypass humidifiers - models 600, 600A and 600M.